We are an Indianapolis dental practice devoted to restoring and enhancing the natural beauty of your teeth. We use conservative, state-of-the-art procedures that will result in beautiful, long lasting smiles! 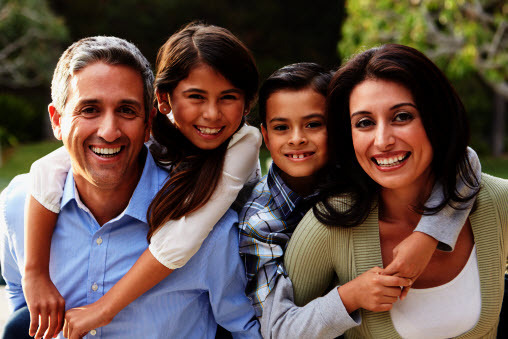 As a family dental practice, we welcome patients of all ages to our dental home. We’ve implemented advanced techniques and treatment procedures to give you and your family the best dental care possible. Dr. Held has extensive experience in specialty services to provide you with all of your oral care at a central location. If you are experiencing a dental emergency, we encourage you to call us right away. We make every effort to accommodate same-day appointments for those with urgent dental needs. We are here to help! Schedule your appointment conveniently by phone, contact form, or email. To accommodate the personal scheduling needs of all of our patients, we request that you kindly give us at least 24 hours’ notice when canceling an appointment. The cancellation policy* allows us to provide advance notice to other patients that request a particular appointment time or to provide an emergency appointment for those with urgent dental needs. * We reserve the right to assess a fee for failing to cancel within an adequate time frame. Our comprehensive list of services helps us provide the best dental care possible to patients of all ages. Dr. Held’s goal is to create treatment plans using the least invasive service that yield the best results. A conservative dental plan will preserve the natural tooth as much as possible while eradicating damage, disease, and decay. Our office surpasses all recommended infection control and safety guidelines that have been established by OSHA and the CDC. We treat our patients the same way we would treat members of our own family. If you are local or new to the greater Indy area or are looking for an emergency dentist, please contact our office to schedule an appointment. We look forward to meeting you and your family!